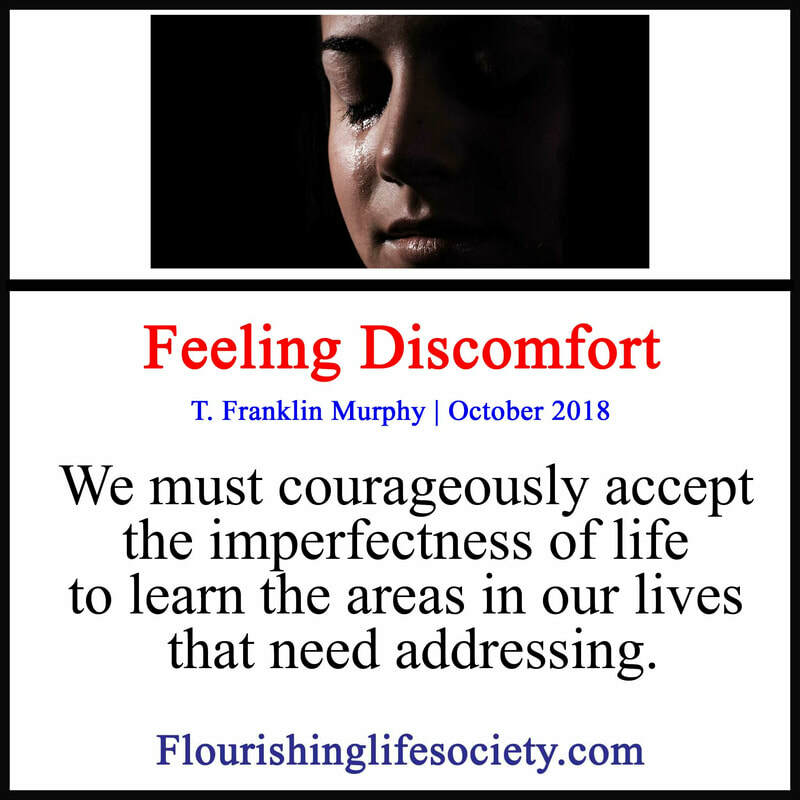 We must courageously accept the imperfectness of life to learn the areas in our lives that need addressing. We drift through life alert, seeking signals from the environment. We interact with the surrounding world and react. Our biological systems make key assessments to balance resources. We have unconscious expectations of the world. When experience registers as detrimental to safety, we feel discomfort—or outright pain. The threat to our well-being knocks our assessments off kilter. We are out of balance. Our nice and ordered trajectory must be changed, demanding extra resources. How we respond to these moments determines whether we will growth or pull back. Insightful reflection, drawing upon facts, pulls us towards realities. We discover aspects about ourselves by delving deeper into these interactions with the world. From a point of safety, self-knowledge can instruct. We address weakness and compassionately accept limitations. But when experience threatens, we may prefer escape. Hating the discomfort, we avoid self-knowledge, cover our eyes and pretend to be something we are not. This reactionary response is largely unconscious. We blindly dodge responsibility, avoiding facts, and angrily demand more out of life. We live in a false reality in the shallow depths of an unfulfilled life. "From a point of safety, self-knowledge can instruct. We address weakness and compassionately accept limitations." We can do better, constructively responding to experience. We can limit pain through measured reasoning, relying on accumulating information. Our interactions with experience provide a wealth of information to carefully examine. Through purposeful thought, giving attention to reality, we can unveil hidden biases and protective justifications. If we can only stomach the discomfit of our humanness, we become self-aware of felt experience, observing our mental activity, reactionary defenses, and associated external triggers. By taking closer inventory, experience is more accessible. We can sort through associations, extracting wisdom from the past. Purposeful thought brings hidden patterns exposing the selfishness of the ego and bringing clandestine activities to the light. We don’t to manipulate the felt experience of living, pretending each moment is a foray into a field of daisies. Some experiences are discomforting. Only through facing discomfort can we gather enough wisdom to better our lives, improving realities, and prepare for futures.